4k00:29Vegetable toasts. 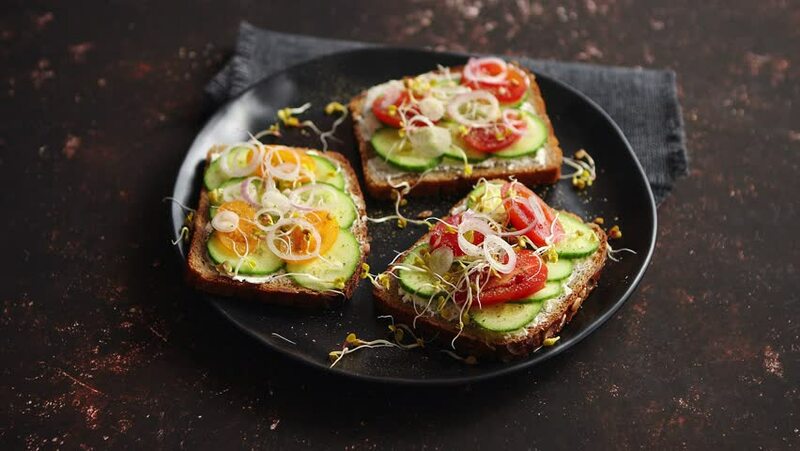 Healthy toasts with cucomber, cherry tomatoes, crumbled feta cheese and radish sprouts on a black plate. Table top view. Dark rusty background. 4k00:06Close-up of two toasts with avocado, salmon fillet and cherry tomatoes on a white plate. The chef rotates the plate. hd00:18Italian pizza with ingredients and spices on dark background.